The Government Communications Security Bureau is expanding its Malware-Free Networks cyber defence initiative. 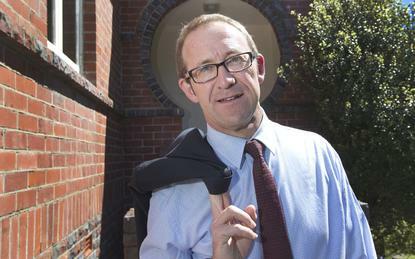 “We live in an increasingly global and connected world in which reckless and malicious cyber activity poses a threat to our digital information and our economic wellbeing,” the Minister responsible for GCSB, Andrew Little, said. “To further help address this threat GCSB will offer its Malware-Free Networks (MFN) cyber threat detection and disruption service to a broad cross section of New Zealand’s organisations of national significance." The decision to expand MFN follows a successful pilot with Vodafone and a small subgroup of Vodafone’s consenting customers. The pilot showed the capability had the potential to disrupt a significant volume of malicious cyber activity. “There was a substantial increase in the volume of activity detected and disrupted when the Malware-Free Networks information was used in conjunction with the network operator’s existing cyber security capability," Little said. GCSB already provides its CORTEX advanced cyber defence capabilities to a broad range of nationally significant organisations. Malware-Free Networks is an additional service, providing an extra layer of protection to more organisations. “Expanding this service will significantly increase the range of organisations receiving the cyber defence services Government offers New Zealand’s organisations of national significance through the GCSB," Little said. Organisations of national significance were identified through a process led by the Department of the Prime Minister and Cabinet, they include Government departments, key economic generators, niche exporters, research institutions and critical national infrastructure. The next step is for the GCSB to develop a plan on how it can work with telecommunications network operators to deliver the expanded service. This is expected to take a couple of months. The cost of the service expansion will be paid for out of the GCSB’s baseline budget. The service is only provided to organisations who consent to receiving it.